How to use material functions to make landscape layer? I use Quixel mixer, bridge and megascans, hence why I need this. When I import my materials from Quixel Bridge, it imports all the relevant maps and a ready to go Material Instance that is linked to a master material that I can edit. If only there was a way to use those automatically generated material instances that are linked to the generated master material IN my OWN Landscape material, then I could use landscape layer blend node to make my landscape layers. Does anyone know a better way to make landscape layers from instanced materials?? I really don't want to spend hours moving stuff from content library to the blueprints for 15 materials. How do I use material functions to make my landscape layers? 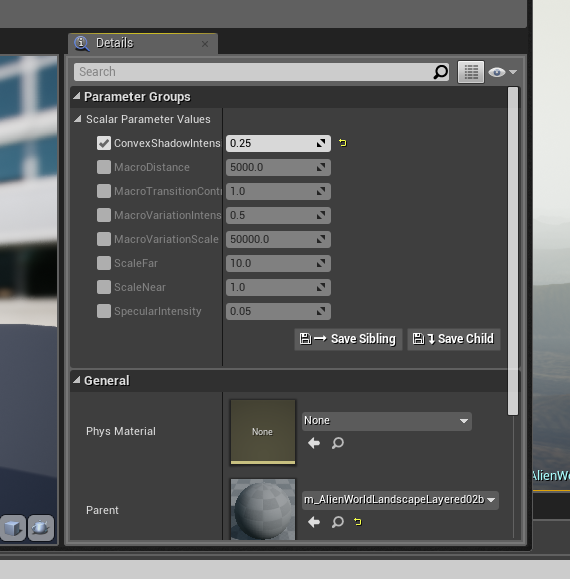 Create a new material function for each layer and then copy/paste the nodes into them from the auto-generated materials Then create a "Make Material Attributes" node and connect the appropriate networks. Then in your landscape material create a "Material Function Call" node for each layer you want and point them to the material functions you just created. Connect that MFC to a break material attributes node and you will be able to drag out the networks you need for each layer. When you make an instance out of the new landscape material you created using functions, the parameters from all the included material functions will be exposed so take extra care when naming parameters for each layer as identical names from multiple functions that do different things will only show up as one parameter and will all read from that value in the instance. You're welcome! Always glad to help. Using painting and splat maps in landscape material? Get PhysMat of Landscape material? How would you change and revert and object material?